The Answer To All Your TH7 Farming Needs! 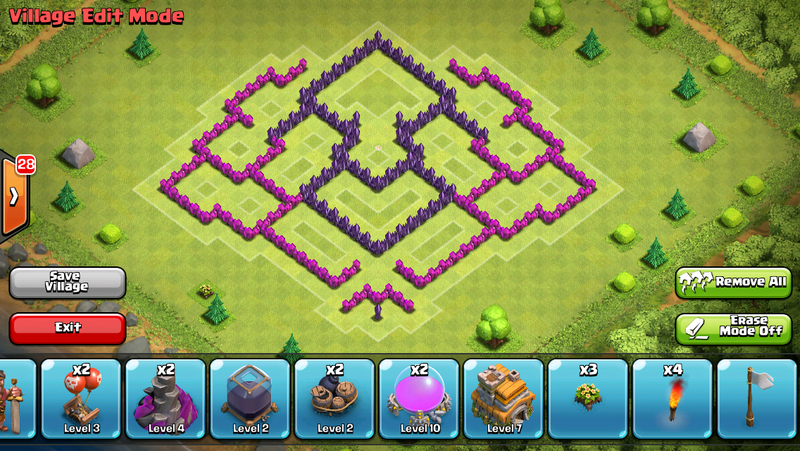 After trying several TH7 base designs that weren’t just quite up to my standards, I decided to make my own. After much trial and error and thorough testing, I proudly present to you the Stingray. 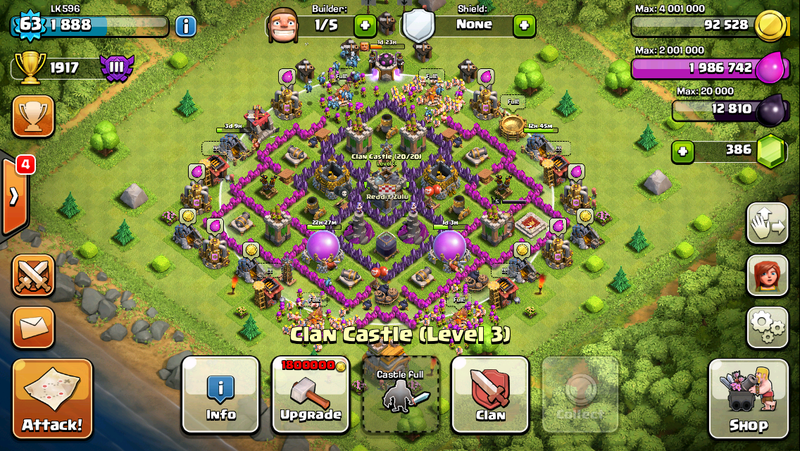 I started with the clan castle. Being a member of the Reddit Clan System, I am never short of good troops and wanted to make sure I get the most I can out of them. 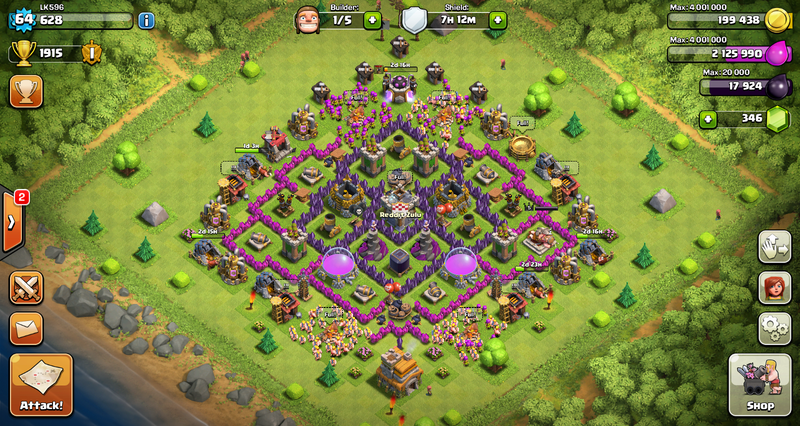 The clan castle is one of the strongest defenses you have available at TH7. Next I moved onto splash damage. The mortars are placed in a triangle formation to optimize the amount of ground the cover. I have placed them close enough to cover each other, as well as the entire base. I also placed the wizard towers in a position where they cover all storages. I placed the point defenses, (cannons, archer towers) evenly spaced around the entire base for maximum coverage. Lastly I placed the air defenses, I chose to put them near the outside. Placing air defenses on the outside is usually discouraged, but I have had great success against giant/healer attacks and dragon attacks; however, if you would feel more comfortable with the air defenses inside you can swap them with the wizard towers. Lastly, through trial and error and lots of testing, I created the funnels and found the optimal position for all of the traps. 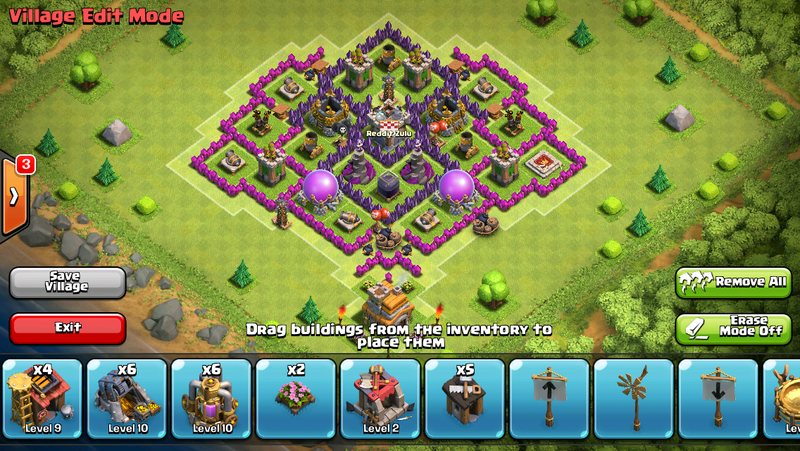 This base does very well against a wide variety of attacks. A log of defenses can be found here I am finding it to hold up very well even in Crystal 3. Five of my clan-mates are also using it with great success. Triangulated Splash Placement – Provides maximum base coverage – Wizard towers are offering maximum protection for storages – Storages have lots of health and clump troops up for the wizard tower to kill. Well Protected DE Storage -DE is a valuable resource to protect at TH7 as it is difficult to farm and you don’t have a drill. Town Hall exposed to invite TH snipes for free shields to protect your resources. 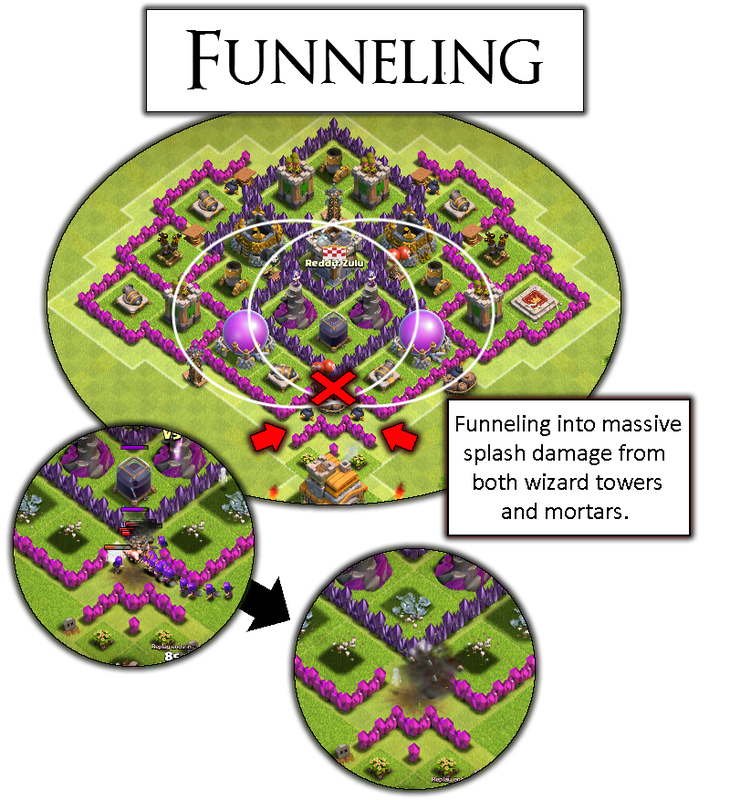 Funneling &amp;amp; Tested Trap Placement – Advanced funneling and tried and tested optimal trap placement. – Stingray Funneling Infographic. Giant bomb inside to roast some hogs that come too close! Feel free to swap giant bombs and teslas depending on what seems to be attacking you the most! An imgur album of defenses that I will be continually adding to. Note how the core stays intact in almost all the attacks, with the gold storages untouched.